A chocolate fudge cake with a rich chocolate filling and orange buttercream on top, covered with homemade fondant. I tried to create the marble effect on the ashtray. I used a different recipe for the buttercream this time. Instead of using icing sugar I used sugar syrup and this time I used egg-yolks as well. The buttercream texture and the taste were perfect, but it was difficult for me to apply it on the cake, since it was too soft. Yes! 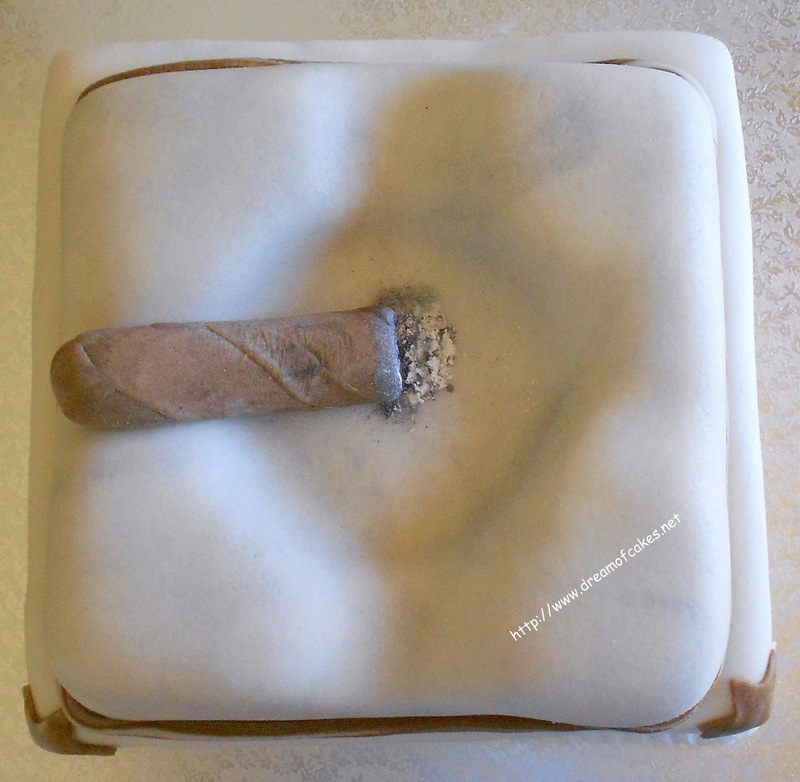 The cigar was made of fondant, and the ash was edible silver and pearl dust. It looks real, doesn't it? I'm all against smoking and there is nt ashtray in my house. Eww gross! Great job though, would be cool for a Halloween Party! I am sure that I know which Marios had his birthday on sunday.... and is the one with the cigar always in his mouth! 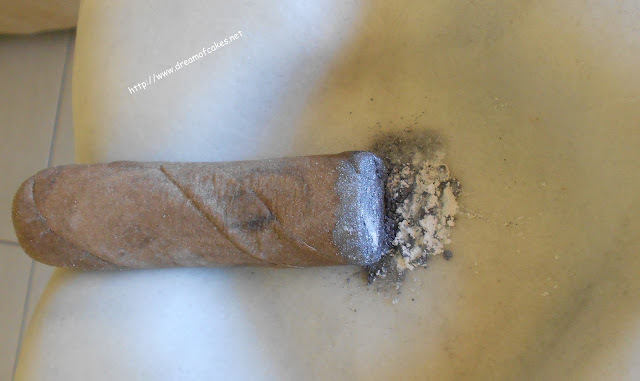 At least now he had a sweek cigar! Efti mou looks great and the idea is really suitable for this case! 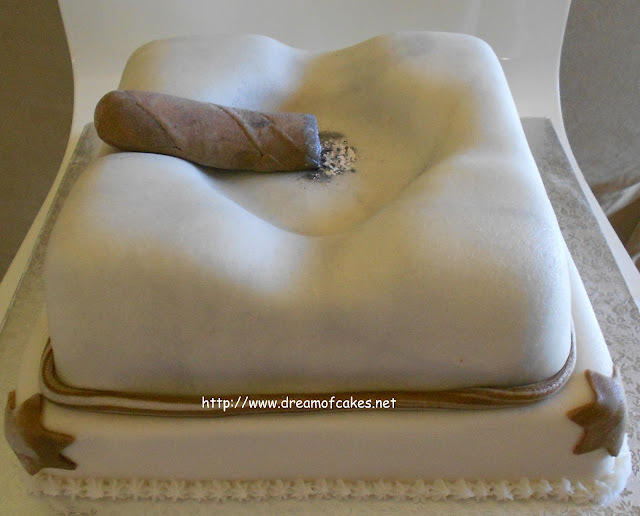 I am against smoking as well but I would'nt mind a piece of cake though. The ashes do look like real. Great job again. Hi Laura, for the marbled paste I used white and grey fondant. Actually I used a bit of a black color paste to make the grey paste, and then I mixed it together with the white.